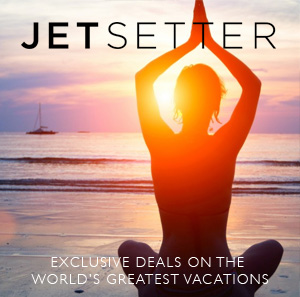 Jetsetter is an invite-only community of travelers that provides members with insider access to the places they want to go at prices unavailable to the general public, expert knowledge and exclusive deals on the world's greatest vacations. Their philosophy is that travel should be fun and easy - including the planning part and they aim to simplify things. Great hotels at great prices. No guesswork, no games. That's Jetsetter. Currently Jetsetter is featuring over 30 of the best destinations in Costa Rica, so get your membership today to take advantage of some of these amazing deals all over the country, from romantic hot springs at Arenal Volcano, to beautiful beach-front villas, to the unspoiled Osa Peninsula. Jetsetter is invitation-only, but you can gain access right here.